Nowadays, having Internet access is a right. It’s like having electricity or water. Being an extremist, I would even say it’s like oxygen in somehow. This small draft tries to summarize a simple combination of technologies that is supposed to be a long term solution to remote places where Internet access if generally difficult to get. One of the goals of mankind today should be to offer good and reliable Internet access to everyone, in despite of their location. Our current motivation is oriented to places where a terrestrial link is impossible to find. We basically want to mix two good technologies that unfortunately we believe are not working together today: 1) satellite links and 2) IPv6. The first one with its pros and cons -as all kind of technology- is a proven solution. The second one has also proved to be reliable, and is the de facto standard for the near future. As a technical person I have always preferred connections over fiber, copper or even wireless links (microwave, Wi-Fi, WIMAX, etc.) however these are not always possible, mostly because of site location. One of the goals of mankind today should be to offer good and reliable Internet access to everyone, in ispite of their location . One of the amazing things of satellite links, it’s their capability to reach virtually anywhere in the globe. I’ve had the chance to participate in satellite port installations in very remote places such as boats at sea or in remote rural or jungle sites where there isn't even cell phone signal. In turn I have seen all kinds of solutions deployed on these links: ATM (Automatic Teller Machines), PoS (Point of Sales), corporate private link and of course: Internet Access. 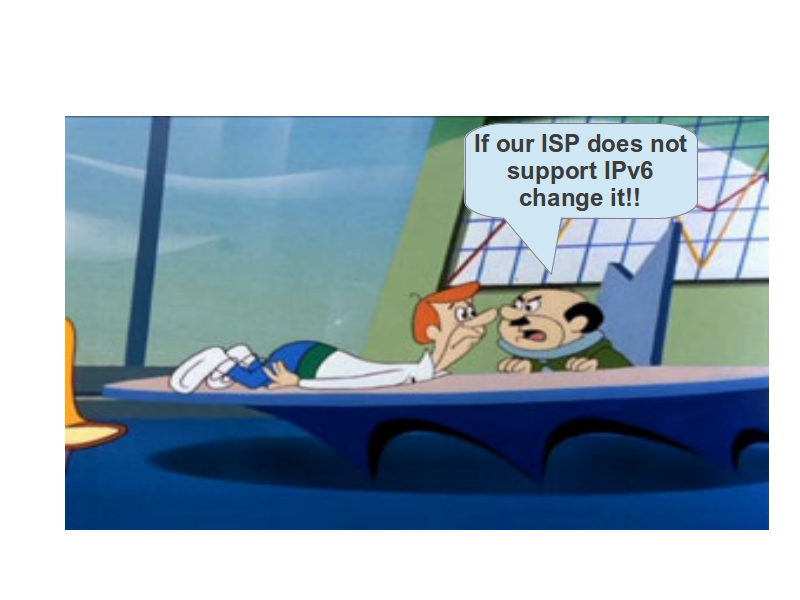 During the last years I have been deeply involved with IPv6. I am a firm believer in the “Internet of things” concept, where most things need and will be connected to Internet . Unfortunately, for various reasons, the conventional thinking is that Internet connections are suitable only for home and office applications in urban sites. Even though this is partly true, we cannot forget the great masses of people (and things) in non-urban areas, remarkably greater in developing countries. In the end, this fact becomes very negative. Millions of people are being left behind when the advantages of Internet access is taken away from them. i.e. : access to e-learning, e-nursering, telemedicine, research, cloud computing, online consultations and many other great benefits provided. Though fiber links, hybrid fiber-coax and very high-speed Wireless links are growing in all countries, there are places where these technologies will never be seen or will be missing for several decades. 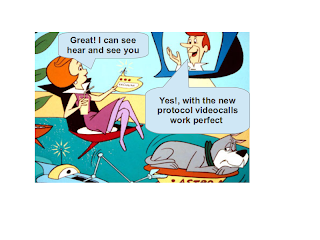 The solution I see coming, one we should not miss, is the pairing of the new Internet protocol (IPv6) and satellite communications. Of course Satellite links exist everywhere and IPv6 is coming forward, what propose is to keep those technologies together. It is my point of view that this combination is the only one that really combines a long-term feasibility. And is currently achievable! This is the right way to connect everyone in the globe and also support the emerging new protocol and many Internet-based services that already exist and undoubtedly will be growing up at least during the next few years. Unfortunately satellite technology providers have been among the last to offer IPv6 based solutions. At present, if you google something like: “IPv6 satellite hubs” you won’t get an easy link to click on, and then, if you hit on the results, you won't find major Satellite vendors that specifically support IPv6 Hubs. As far as I know, last year there was only one Satellite Hub manufacturer that added IPv6 support to its solution. Saying that, we have seen a change, though small, by one supplier. 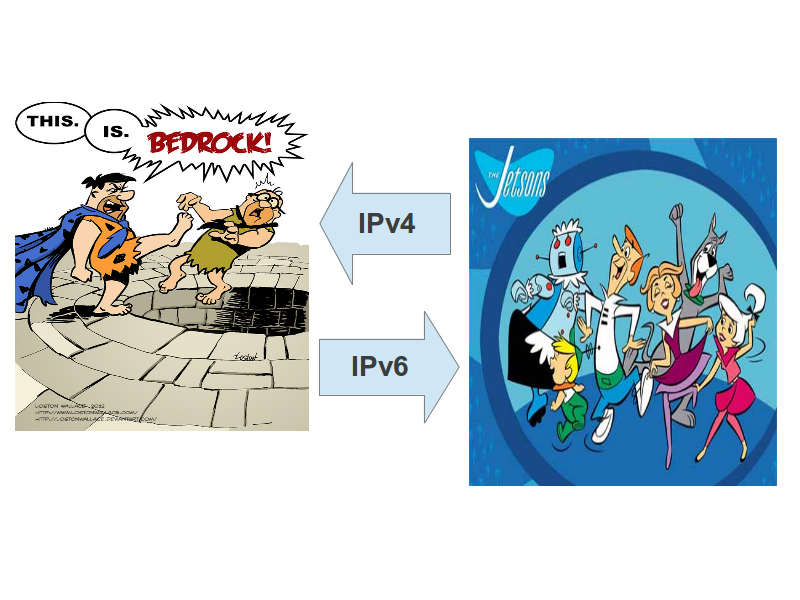 There looks to be already products (very few) on the market with native -IPv6- implementations. My belief is that with some support from the community, and probably from some organization and collaboration we can do this combination a “must to have” among satellite hubs suppliers. We think that if the satellite industry keeps growing without IPv6, it will be worse for it in the long term. 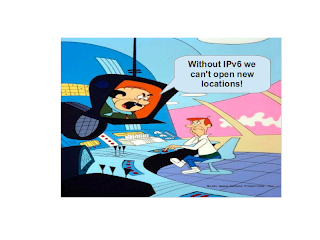 Our assumption is based upon what IPv6 has to offer and what the lack of it might do to remote locations: 1) missing IPv6 in satellite technology in those locations will hurt IPv6 deployment, 2) Those places won’t enjoy some benefits offered by IPv6. 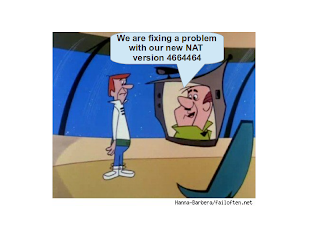 Finally, I would like to mention that traditional problems found in satellite links such as: 1) round trip delay and 2) costs; are being solved with new technologies. Also there are some new initiatives that will boost even more this situation. The combination of satellite links and IPv6 is the right way to provide Internet access in very remote places in order to prepare for the current and the future of Internet-based services. 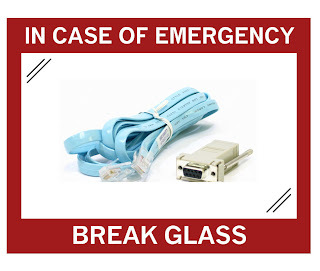 In case of emergency break glass. ¡Console cable inside! Although not common, this case may occur in some situations. Fortunately BGP support carrying routing information for different protocols (ie. 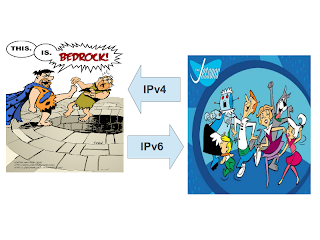 IPv6). Therefore it is possible to exchange prefixes IPv6 over eBGP IPv4 sessions. In this basic scenario with R1 <--> R2 connected back-to-back the configuration is as follows (the prefix announced by R1 is learned by R2). * The session must be eBGP multihop, if not, R2 will not learn the prefix (the same error as seen above). I admit I do not get 100% why it happens however after readings some documents it looks like the router complains that the next-hop IP address and the way it was configured are in different subnet (make sense, one is IPv6 and IPv4 another!). The following describes the procedure for installing the operating system Debian GNU / Linux on a Sun Fire V210 Hardware. * As we know, this has not Hardware Out Video Card VGA or PS2 port for Keyboard. What if it has a serial port for Management. * This server is 64-bit SPARC architecture. Please remember to burn the image a low speed, it's good to avoid some drawbacks. 2.- Place the Debian CD image to the CD / DVD ROM Server. 3. - Now, we must establish a connection via Serial COM with the Sun Fire V210 server. We can use Hyperterminal, Minicom or even PuTTYtel. The cable is a cable type used Rollover (NOT crossover). 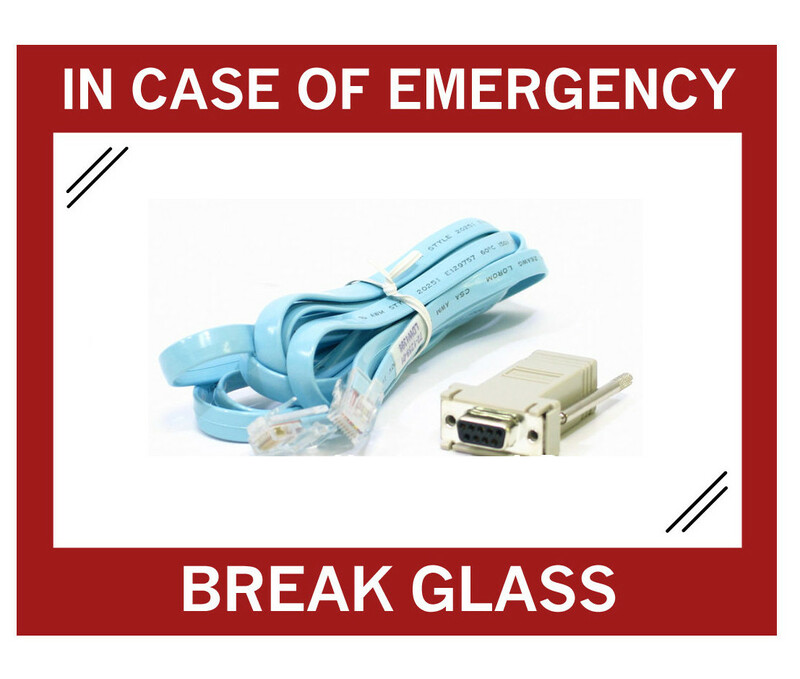 Typically console cables Cisco equipment will work. 3. - Start the server. The challenge is to make Boot from CDROM drive. To do this, do the following: When the server is starting, we pressed Sequence 'STOP + A'. In a conventional keyboard, this sequence is the same as 'CTRL + SHIFT + BREAK' or 'CTRL + BREAK'. 4.- From that moment, the server should begin to start from the CDROM drive. I recommend to use the terminal in Full Screen mode to see the installation as if it were a monitor connected to the server. WHERE r_time poller_id = 0 AND end_time> '0000-00-00 00:00:00 '"
r_time WHERE end_time = '0000-00-00 00:00:00 '"
If the file cacti.log you see the above error tt indicates a failure with poller_output mysql table. In this respect, I have seem three different solutions, order from the less risky to the highest. 1) When creating a .iso image using Devede and creating subtitles in Spanish DeVeDe returns the error: "Failed to write to the destination directory. Check That You have privileges and free space there". 2) When you create a .iso using Devede and creating subtitles in Spanish Devede returns the error: "conversion failed. It Seems a bug of spumux"
d) A new window appears, select the option "Other encoding"
e) Select UTF-8 from the list on the right side. Done!, re-create the ISO using Devede. Sometimes it is necessary to "shutdown" or disable our Linux iptables, the procedure depends on the Linux distribution you're using. When performing a "clear line" in a Cisco Router/Switch to disconnect a Telnet or SSH session does not work. The user still in the vty. a) Quickly and 99% sure it will works (and less likely to damage something else). We have to search for the TCP connections in the router at that time. We use the command "show tcp brief". We filter port 23 (Telnet) or 22 (SSH) as applicable. The value on the left in the memory addrees within the TCB (TCP Block), this is precisely the TCP connection we will have to remove. NOTE: Please be sure of the value before deleting the TCP session, remember that the router may have HTTP, TCP connections, and other important TCP connections. A website like https://dealectronic.com will provide you with the highest quality in the industry.